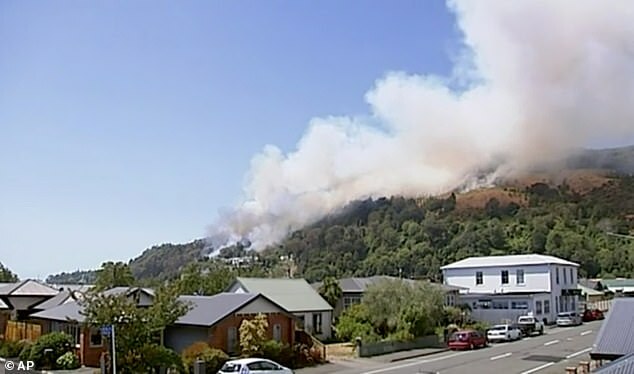 Thousands of people have had to leave their homes while a wild fire that has been burning for a week continues to rage on New Zealand's South Island. Up to 3,000 people have left the Wakefield and Pigeon Valley areas and there's concern the strong winds that are predicted today could fan the flames. On Sunday 155 firefighters on the ground, 23 helicopters and three fixed wing planes were battling the fire, reports the Guardian. About 700 residents were evacuated from Wakefield on the South Island on Friday. Authorities opened up a sports stadium as a welfare center and said they could accommodate people who didn't have friends or family to stay with elsewhere. Others in the town of 3,000 were waiting to hear if they would also be evacuated, and many were choosing to leave. Police and civil defense responders were knocking on the doors of about 250 affected homes to makes sure nobody remained behind. Fires started on Monday and Tuesday and quickly spread before authorities declared a state of emergency on Wednesday. 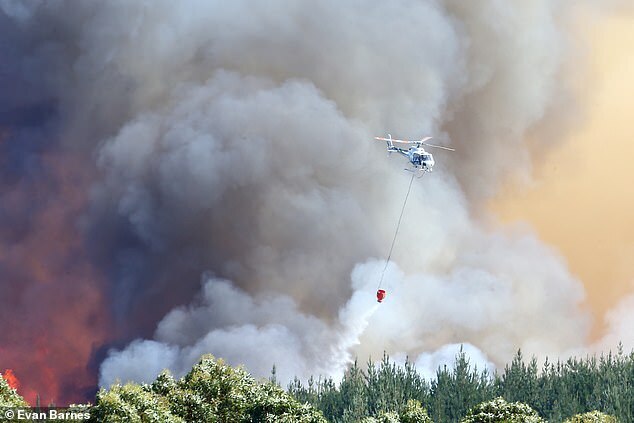 By Friday the wildfire had spread to about 2,000 hectares (5,000 acres) and is thought to be the worst forest fire in New Zealand since 1955, reports the BBC. It had burned down one house and authorities believe it could have been started by sparks from farm equipment. No deaths have been reported yet. Other, smaller fires were also flaring up in the dry region, including in the city of Nelson, which is home to about 50,000 people. Richard Kirby, the group recovery manager for Civil Defence, said on Thursday it might be four of five days before the fire is contained. He said the drought-like conditions in the region are causing problems for residents and farmers alike. Australia and New Zealand have been experiencing a hot Southern Hemisphere summer. Australia sweltered through its hottest month on record in January and there have been wildfires razing the south and flooding in the tropical north. New Zealand's weather hasn't been as extreme, although it did experience a heatwave over the last few days of January.